As you may have heard, last November a team of four Woodbrooke tutors travelled to Western Kenya to run a Woodbrooke on the road with Friends from several yearly meetings based in that region. We were asked to lead sessions on clerking, eldership, oversight and stewardship. 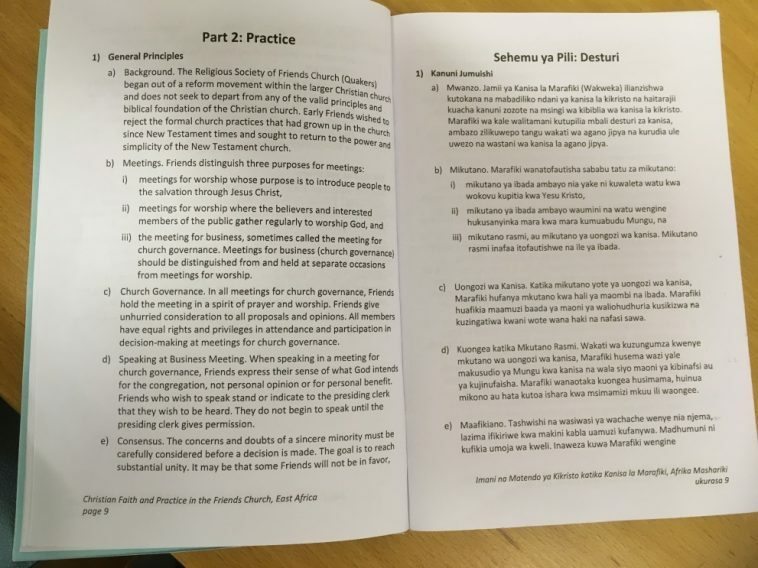 Before the visit as part of our preparation the tutor team all read Christian Faith and Practice in the Friends Church: Friends United Meeting in East Africa which is the equivalent of Britain Yearly Meeting’s Quaker faith & practice or your yearly meeting’s ‘book of discipline’. Most yearly meetings round the world have these books, and Friends in Kenya are no different. 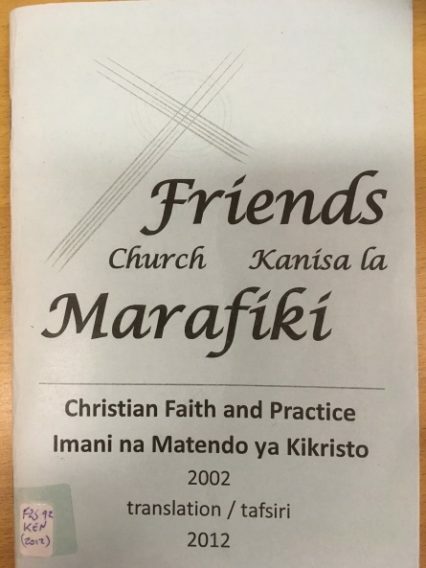 Their book is shared across many yearly meetings in East Africa and is published in English and Kiswahili alongside each other in the same the same book. In reading this book we soon realised that the way Friends in Kenya make their decisions, the way they do their eldership and oversight, and the way they look after their money is all very similar to the way we do it in Britain. So we got on with planning our sessions based on their pale blue book. 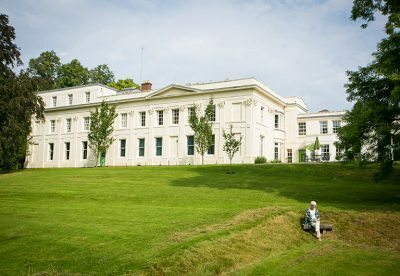 This meant that much of our teaching material could be based on what we do in our Woodbrooke teaching, either on site in Birmingham, online or on the road (usually) around Britain. However we soon discovered another similarity between British and Kenyan – and no doubt other – Friends. Not many of us are very good at reading our books of discipline! This immediately meant we had to slow down our teaching and go back to basics to a certain extent. However in many ways this was a bonus – it meant we looked at why we, as Quakers, make the decisions the way we do; this historical reasons for example. We also had the opportunity to think about why we do our eldership and oversight in the way we do, why we believe it is so important to care for one another and why we consider good stewardship of our resources to be an essential part of being Quakers. Something else we, as the tutors, did was remember the reading programme that we went through in Britain YM starting in 2015 and ending mid-way through last year. We talked to Kenyan Friends about the benefits of rediscovering our red book and how much we had enjoyed it and encouraged them to do something similar in the coming months and years. So, watch this space.